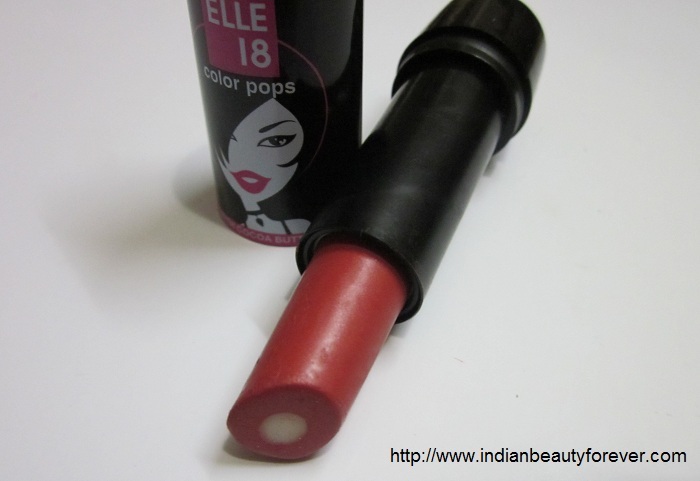 In this post, I will review and swatch Elle 18 Color pop or color burst Lipstick in Rusty which I bought few weeks ago. I have been so much in love with the bright corals and oranges these days that they made me completely forgot the rusty pink and neutral shades completely until I saw this color at one of my friends blog and It was an instant decision! My Experience- This color is called Rusty which is no 29 I think it's more like a rust color with less brown and more towards peachy tones. what you think? 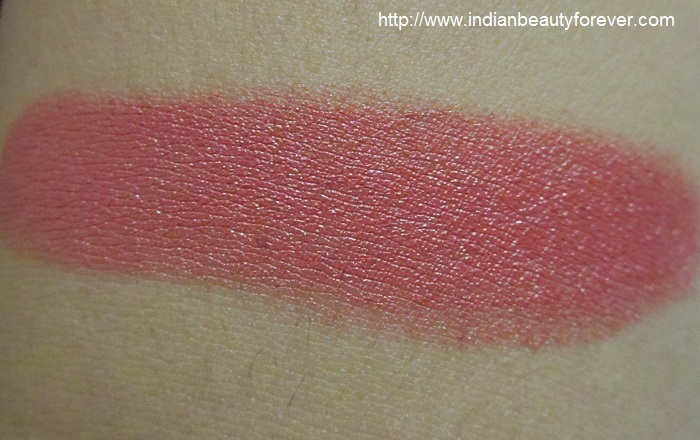 But for sure, it's a very subtle and everyday kind of color that will suit most of us and can be used during the day. As you can see that it's the new (not anymore though) plastic packaging, which I looks chubby and cute but I don't like it much!! It has the same cocoa butter core in between to provide extra moisture but I think they should have incorporated this so called moisturizing thing in the entire content and then should have processed the lipsticks as the core. yes! it gives moisture but also gives a patchy finish! But wait earlier, that was not the case, even though the core was there. Hmmm.. I think they need to re ensure the quality!! 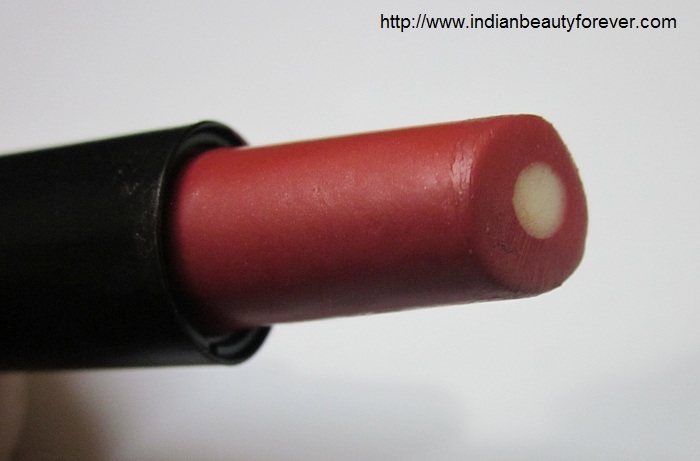 Now, these lippies are decent in texture but then staying power... not much!! Moreover, they won't even leave a trace on your lips after a full meal. Pigmentation is not great. I had to swipe 2-3 times to show you the swatches above. But at the price can we really complain? 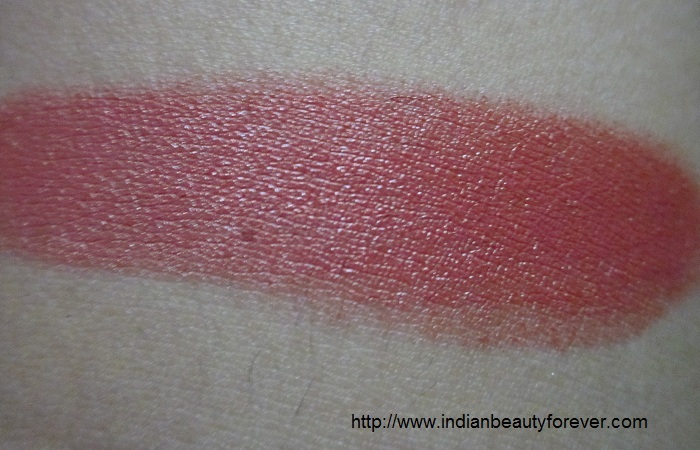 I only liked their Rosy blush so far when pigmentation is concerned Rosy blush is an amazing color with great quality for the price, I must highlight this. 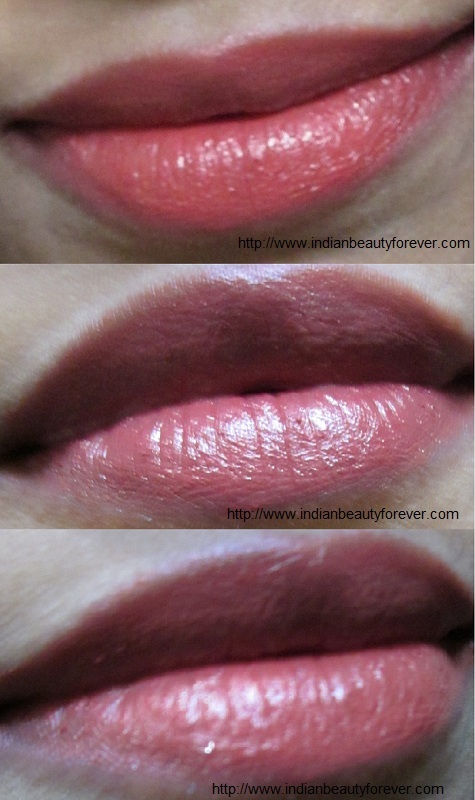 Okay so, below are the lip swatches indoor and outdoor. Look at my dehydrated seeking for moisture since ages, lips. :D excuse me for that!! Budget and pocket friendly makes them worth trying. Cocoa butter provides moisture and hydration. Does not leave stain on the lips once you wipe it off. Pigmentation is not so good and varies from shade to shade. My Take- Even though , they might not be the best when it comes to staying power and pigmentation still they can be considered, tried and loved for their shades, If you want a budget and pocket friendly lipstick and don't have much expectation. I personally love this color a lot. No doubt, it is beautiful!! Thank you Sophia! but in pictures it was not clear enough may be i will change the lips swatches soon. Cranberry is a nice shade too. The cocoa butter core in the middle of the lipstick reminds me of a centered filled bubblegum...yum :D Love the color on you, quite a subtle berry color. even i used to love them a lot but somehow now their quality has come down. Pretty colour...would go well with a lot of different looks. And it's hydrating for dry winter lips...will chk this range. Indeed!! I so agree manisha!